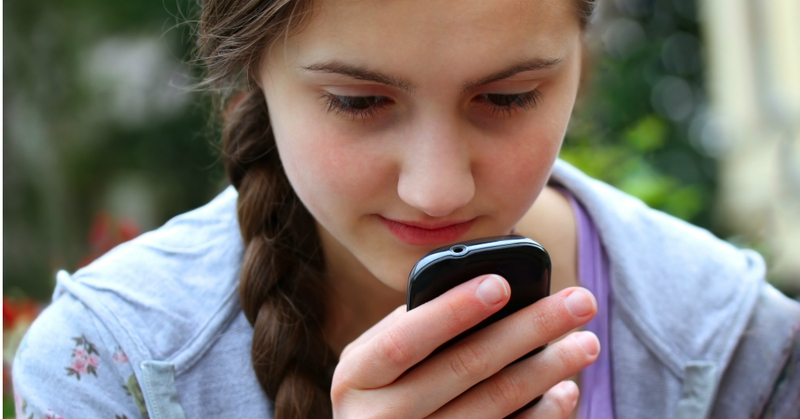 Asking Advisors: Should Parents Have Access To Their Teens Phone? Cell phones provide unlimited access to an unlimited amount of information -- good and bad. And in this day and age almost everyone owns one… including our teens. So where do we draw the line and how do we know when to step in, when to monitor, and when to mind our own business? Well, it’s hard to say. Our teens lives are drastically different from when we were in their shoes. Did you know 94% of teens 13-17 in the United States today own a desktop or laptop computer? And 76% of the teens in that age group own cell phones. This virtual world with virtual friendships isn’t a bad thing, experts explain. They experiment with different identities, meet new people and exercise the same muscles as we did at that age, just in a different way. However, with our kids spending more than seven hours a day on their phones, it’s hard to not wonder what they’re up to. Have an open dialogue. Ask. As the parents, it’s your responsibility to know your teens behavior and if they’re acting differently. If you notice drastic changes in your child’s behavior, whether anxiety or extreme happiness, immediately before or after they use their phone - it might be time to start asking some questions. Monitor openly. If you suspect troublesome behavior online from your teen, let them know you're concerned. The question alone may help your teen realize something they’re doing isn’t right. Use monitoring software. While this option can certainly be invasive and intruding, depending on your relationship with your teen and your parenting style, it could be beneficial. Definitely proceed with caution here, as this could potentially harm your relationship and their trust, but know you have options. Set boundaries, set permissions. Another option, instead of monitoring or asking, could be to set permissions on their device that only lets them access certain sites at certain times. This would mean your teen is aware of the permissions you set, and could result in another power and independence struggle. Many parents have admitted to monitoring their teen’s social media and browser history, and having face-to-face conversations about online boundaries and respect. However, only a few have admitted to using tracking or monitoring software. While there are a number of different routes parents can take to ensure the safety and happiness of their teenager online, they must remember to tread lightly and respect teenage privacy. Just because they’re not out socializing at the mall doesn’t mean they’re doing something wrong. We believe in open communication with your teenager. We know it’s not always easy, but setting boundaries and expectations can have a bigger impact than you think.